God's hand is upon you, and His delight is in you! 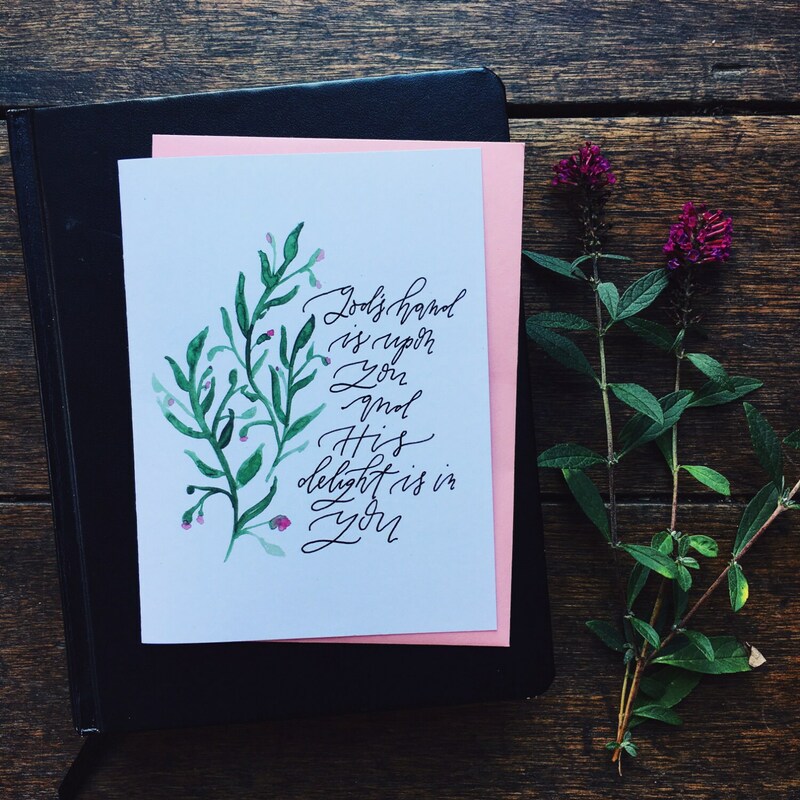 I love to speak this prayer over my friends, so I made it into one of my scripture cards. I believe it is a true encouragement for the heart of a believer! Professionally printed at my local print shop on luxe heavyweight card stock and includes french point pale pink envelope. A6 sized and blank inside. Also available as a boxed set, send me a convo and I'll set it up for you!